Depart Delhi for Haridwar by Car arriving in Hotel late in the afternoon. In the evening view Aarti at Ganges Ghat called Har-ki-Paudi which is one of the most sacred Ghats in India and watch the tiny earthen oil lamps drift down the Ganges in a display of myriad flickering lights. After breakfast depart Haridwar to Barkot which is a very scenic mountain route and then stop by the roaring Kempty Falls, Lakahamandal – an Archaeological Survey of India protected site (about 5 kilometers from the main road) , further also visit the ancient temple dedicated to Lord Shiva and after visiting the shrine continue the drive to Barkot. After breakfast depart for morning drive to Jankichatti which is about 45 kilometers and then travel by foot to Yamunotri approx 5 kilometres and pilgrims here can cook rice by packing it in a cloth and dipping it in the hot water of the kund (hot water spring) and pilgrims take this cooked rice home as a "Prasad" and near the temple "Pooja" can be offered at Divya Shila, after taking bath in Jamunabai Kund's warm water and paying tribute to "Yamunaji". After offering prayers at the shrine return to Hanumanchatti and further back to Barkot. After breakfast depart Barkot for Uttarkashi by Car arriving in Hotel by afternoon. 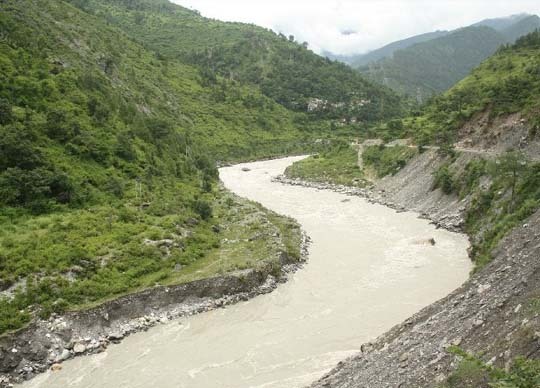 Uttarkashi is home to a many ashrams and temples and the Nehru Institute of Mountaineering. 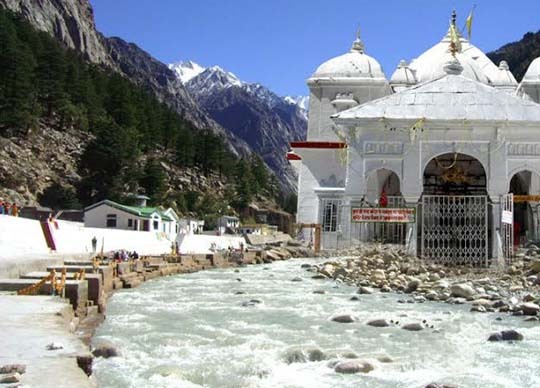 It is the land of holiest of pilgrimages of Hindus, the Gangotri and Yamunotri - within the bounds of its land the two holiest rivers of India, Ganga and Yamuna originate. Early in the morning leave for Gangotri and you will be provided packed breakfast ,en route visiting Gangnani a hot water spring and after offering prayers at the shrine drive back to Uttarkashi. After breakfast depart Uttarkashi for Guptkashi en route visiting Charangikhal which is one of the most beautiful and scenic drives you have ever experienced and then continue your journey and late lunch will be provided at Kirtinagar. On your drive after Charangikhal then pass through the Ganges giving way to Tehri Dam (the Electro Hydro Project) and after resting for sometime continue to Guptkashi. After breakfast drive to Gaurikund and from their join other pilgrims on a 14 kilometer long trek to Kedarnath. 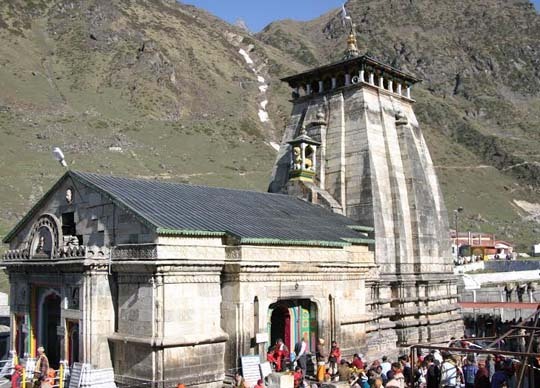 In the evening visit Kedarnath Temple for Pooja ceremony and offer prayers at the shrine and enjoy the peaceful atmosphere. After breakfast depart Kedarnath for Guptkashi and begin 14 kilometer descent on foot to Gaurikund and then drive another 38 kilometers to Guptkashi. After breakfast depart Guptakashi for Badrinath en route visiting Chopta which is a beautiful forest with medicinal plants. 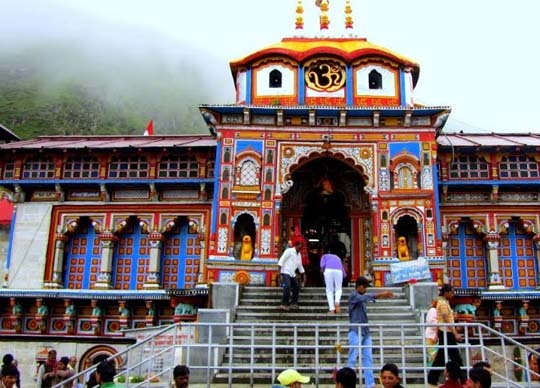 In the evening visit the Badrinath temple and pay your respects at the shrine and attend the pooja ceremony ,see how the local rituals are performed at the temple. After 'darshan' ( visit to the holy place ) roam around and enjoy the Himalayas canvassing the horizon and breathe in the divine ambience of Badrinath. After breakfast driver about 3 kilometers to the last village of India – Mana Village and visit the Vyas Gufa and Bhim Pul. These are some truly scenic spots with great views of the gushing Ganges, the frosted pinnacles of the Himalayas and some green hills flecked with country houses, lush farms, crystal springs cutting through rocks and a sapphire blue sky and then depart for Joshimath. En route, a stop will be made at Vishnu Prayag, the confluence of Dhauli and Alaknanda Rivers but for the gurgling of the rivers no sound of any kind catches your ear. The atmosphere is one of sheer peace and tranquility often broken by the twittering of birds or the chatter of monkeys. 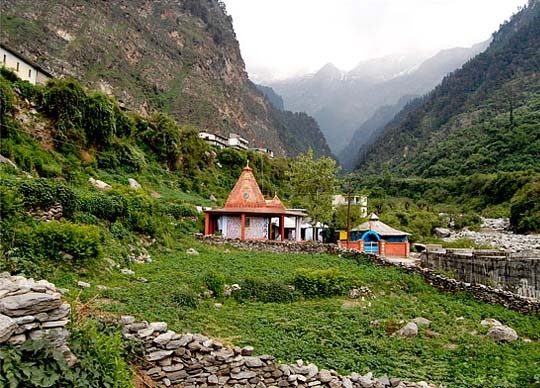 On arriving at Joshimath you will visit the Adi Guru Sankarcharya Math and then after lunch proceed to Kirtinagar en route visiting Karn Prayag. After breakfast depart Kirtinagar for Rishikesh ( about 155 kilometers / 5 hours) en route visiting Deoprayag – the confluence of Bhagirathi and Alaknanda Rivers , Laxman Jhoola and after that continue your drive for Haridwar arriving in Hotel. 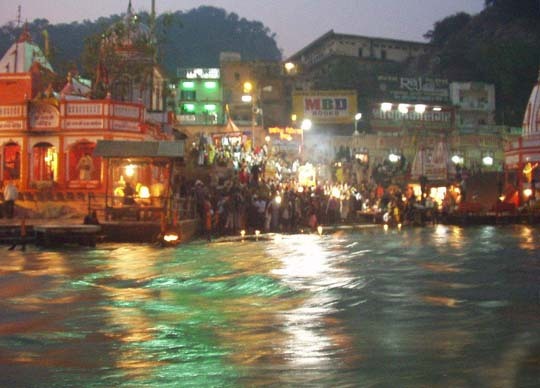 In the Evening visit Aarti at Parmath Niketan Ghat and spend few hours on the Ghat and watch thousands of earthen lamps float down the Ganges. After breakfast depart Haridwar for Delhi by same car arriving at the airport or hotel.